In court actions, judges have the authority to order that a judgment be paid in instalments. 4.1 Is the remedy viable? Creditor has threatened to sue or has sued the client in court. Client does not deny the claim and says they can make reasonable monthly payments on the debt but cannot pay off the whole debt. Client has been sued and is concerned that their assets will be taken or wages will be garnished. Most credit agreements call for a debtor to make monthly payments to repay the total amount borrowed. So long as the debtor makes the payments, the creditor generally cannot demand any more. Except in the case of specific types of “demand” credit agreements (for example, demand promissory notes or demand lines of credit), a creditor cannot suddenly simply decide to demand the full balance due. However, the creditor is usually entitled to sue for the entire balance due if the debtor defaults on the credit contract (by missing a payment, for example). The creditor is entitled to do this because most contracts have an acceleration clause (a clause that allows the creditor to claim the full amount if the debtor does not meet the terms of the original contract). If the creditor’s claim for the full amount is successful in court, the law generally says that the debtor is immediately obliged to pay the full amount, rather than just monthly payments. If the debtor has no legal remedies to pursue (see the sections on Contract Remedies and Debtor’s Options for Getting Out of Debt) or is unsuccessful in negotiating an agreement about payment with the creditor, the creditor can then take steps to enforce the judgment, such as by seizure of assets or garnishment. In both Small Claims Court and Supreme Court actions, judges have the authority to order that a judgment be paid in instalments, similar to how the debtor may have been making payments on the debt before the judgment. Historically, the courts have required special circumstances before making this kind of order (see Royal Bank v. McLennan). The authority for instalment payment orders comes from various sources. suspend the execution of the order as long as it considers it proper. that the debtor had been making every effort to resolve the matter with the bank. Under the Supreme Court Civil Rules, at or after the time of giving a judgment, a judge can “provide that an order for the payment of money be payable by instalments” (Rule 13-2(31)). The rules also state that if a debtor defaults on the instalment payment order, the full balance once again becomes due. In Small Claims Court, Small Claims Rule 7(14)(c) says instalment payment orders can be made at a settlement conference, by agreement of the parties. If a judge finds in favour of a creditor at trial in Small Claims Court, the judge can order a payment schedule at that time with the agreement of the creditor (Rule 11(4)). If the creditor does not agree, the judge can order a special “payment hearing” for later to determine how the judgment should be paid. Rule 12 covers the procedure for payment hearings and Rule 12(13) gives the court the authority to make an instalment payment order at that hearing. If no payment order is made at trial, the debtor can still apply after the judgment for a payment hearing (Rule 12(10)). 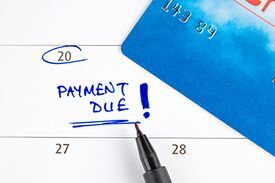 As with the Supreme Court Civil Rules, if a debtor defaults on a payment schedule, the full balance becomes due (Small Claims Rule 11(14)). Where a garnishing order has been made: Under section 5 of the Court Order Enforcement Act, a judgment debtor who has been garnished can apply to have the garnishing order set aside and the judgment ordered payable in instalments. So long as the order is in good standing, the creditor cannot issue any further garnishing orders. Section 5 outlines the procedure for applying for an order, and for applying to vary the order if the debtor’s circumstances change. Section 5 also says that if the judgment debtor is in default of the instalment payment order for more than five days, the order is terminated. Where a creditor is seeking to have the debtor’s home sold to pay debts: Under section 96 of the Court Order Enforcement Act, a judgment debtor can ask the court to defer the sale of the “home of the debtor” if the creditor is applying to have the home sold to satisfy a judgment. Section 96 says the deferral can be made subject to terms and conditions (including instalment payments) that the court orders. At a subpoena to debtor hearing: Under the Supreme Court Civil Rules, a judgment debtor can ask the court to make an instalment payment order at a subpoena to debtor hearing (Rule 13-3(11)). As long as the debtor does not default on an instalment payment order, the debtor is protected from the creditor taking other steps to enforce the judgment. This is certainly clear in Small Claims Rule 11(6) for payment schedules ordered in Small Claims Court actions. Where instalment payment orders are made under another authority, such as the Supreme Court Civil Rules, the overall extent of the protection is less clear. However, from existing case law and provisions in the Court Order Enforcement Act and the Supreme Court Civil Rules, garnishment, writs of execution (a court order to enforce a judgment of possession), and applications for subpoena to debtor hearings are not allowed if a Supreme Court instalment payment order exists and the debtor is not in default. The financial circumstances of the client: Obtain a complete financial picture of the client, including income and expenses, and assets and liabilities. It is particularly important to determine whether there are any other creditors, the extent of the debtor’s assets, and the amount the debtor could pay each month on the judgment. The court in which the creditor is making the claim: Information about the court involved will govern what procedures to follow when applying for the instalment payment order. If the client has been sued, obtain all relevant court documents from the client or from the court registry. If the client has not been sued, determine the amount owing to anticipate in which court an action might be brought. There are only one or two major creditors: The client should not be in default to, or unable to pay, more than one or two major creditors. Applying for orders for several creditors is cumbersome; other remedies such as proposals are probably more efficient. The client has sufficient income: The client must have sufficient income to pay off the full amount owed, as well as other debts, within a reasonable time. There are special circumstances: The court must generally be persuaded that there are special circumstances to justify such an order. It is the responsibility of the debtor to demonstrate the justification. Advocates should take the initiative to propose an instalment repayment agreement with the creditor, whether or not legal action has been started, rather than simply relying on the possibility that the court will make such an order. An application for any instalment payment order should probably be made only if the advocate cannot negotiate an arrangement directly with the creditor. Some case law suggests that courts are less sympathetic to making instalment payment orders if the debtor is cash poor but asset rich. That is, if the client has relatively little income but significant, non-necessity assets, the court may feel that the debtor should sell the assets and pay the creditor with the money earned from the sale. Instalment payment orders must be made in the course of a legal proceeding started by a creditor. For Small Claims actions, the debtor can ask for such an order at a settlement conference or at the end of a trial. Or, after the judgment, the debtor can apply for a hearing according to procedures set out in Small Claims Rule 12. For Supreme Court actions, the best time to ask for an order is often in response to a motion by the creditor for a summary judgment or summary trial. The debtor files and delivers a Notice of Application and supporting affidavit in the creditor’s court action, asking for the application to be heard when the creditor’s application is heard. Similarly, an application could be made in response to a garnishing order (Court Order Enforcement Act, section 5), an application to sell the debtor’s home (Court Order Enforcement Act, section 96), or a subpoena to debtor notice (Supreme Court Civil Rule 13-3(11)). These orders are somewhat flexible. Small Claims Rule 17(3), section 5(3) of the Court Order Enforcement Act (in place of garnishment), and Supreme Court Civil Rule 13-3(11) provide authority for a debtor (and creditor) to apply to vary an instalment payment order once the order has been made, and where there is a change in the circumstances of the debtor. This page was last edited on 12 October 2018, at 09:06.